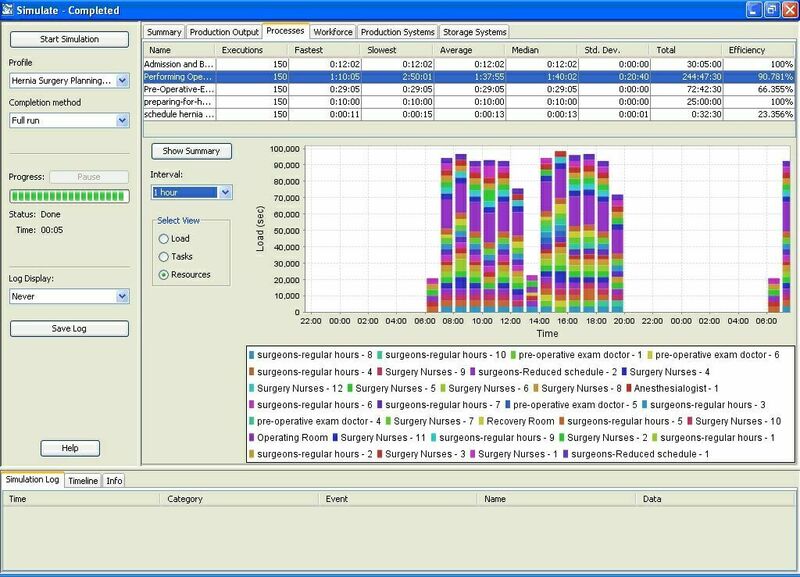 Organization Visualization Platform provides a set of methods encapsulated by the following visualization components: Enterprise Explorer Visualization, EPCAD Simulation Visualization, and ERMSIM Simulation Visualization. 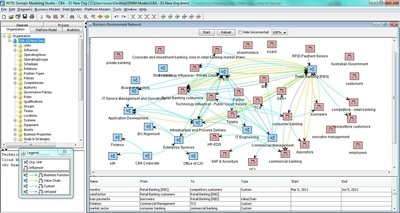 The Enterprise Explorer Visualization methods provide systematic visualization of the organization as a system, or social system such as business organization, companies, enterprises, and governmental agencies/entities. 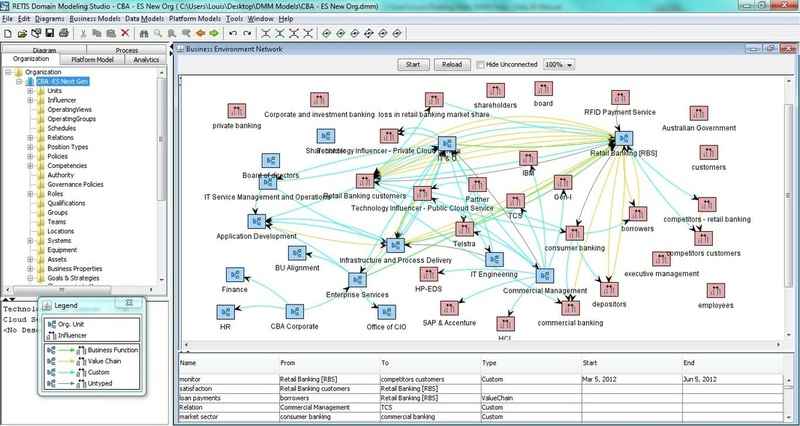 It provides the capacity to visualize and interactively explore the organization as system, its structure or form. 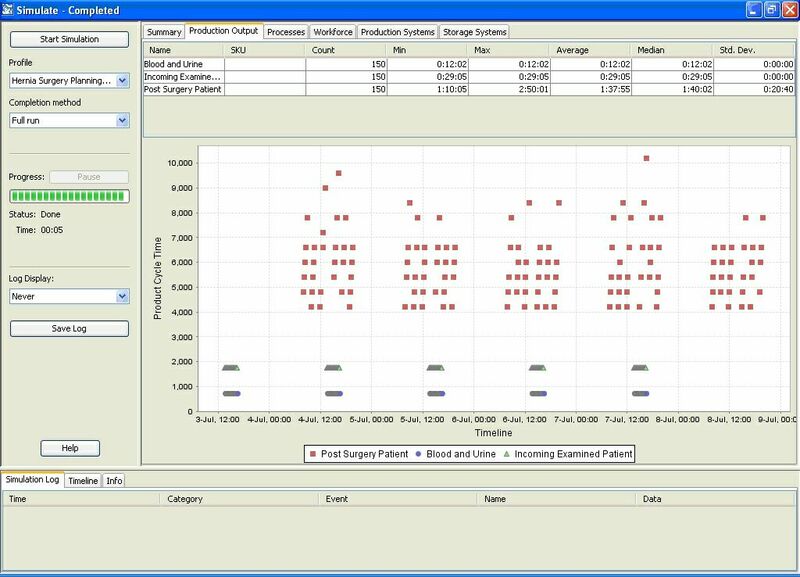 ERMSIM Simulation Visualization methods provide the capacity to visualize and explore the changes in organization capacity development caused by pursuing a given strategic intent, set of strategic options, and strategic choices; as well as the potential strategic risks and rewards. 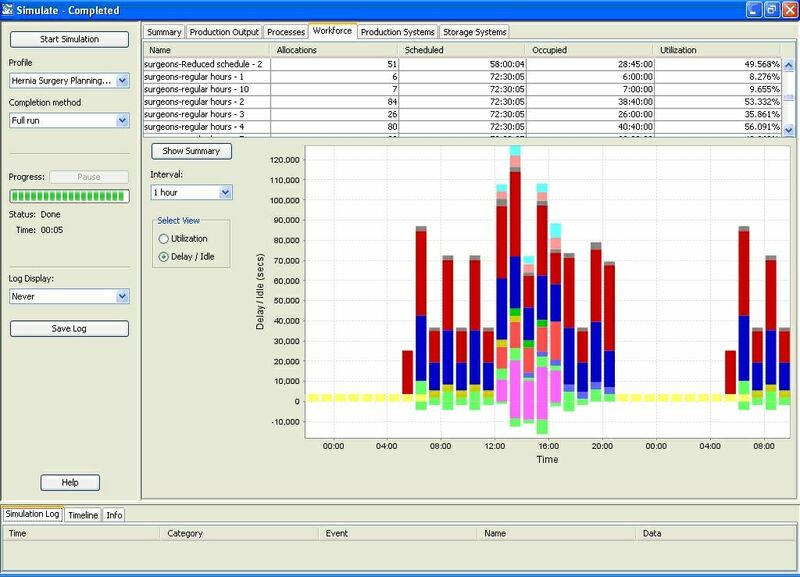 EPCAD Simulation Visualization methods provide systematic visualization of operations performance of the organization as system in creating and delivering value to customers. 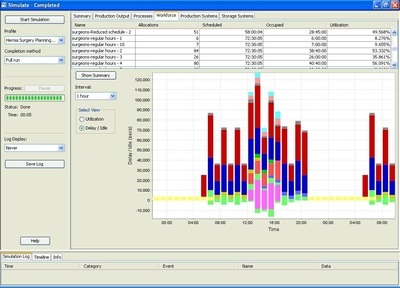 It supports interactive visualization enabling users to explore the system throughput for a given configuration of resources and actors, as well as utilization and load of those resources. 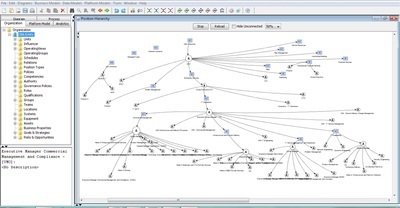 Enterprise Explorer ™is the registered trade-marked name for the organization as system interactive visualization methods offered by Interactive Design Labs. 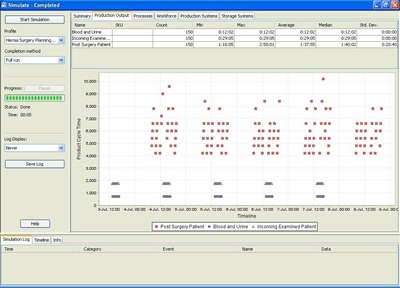 The visualization methods provide an interactive visualization environment that enables users to explore and examine the architecture of a business organization including its form and functions, and the accountability and responsibility of the organizational social systems, and the organization's value proposition.The visualization methods allow users to explore and examine the manifestation of the current organizational strategy and strategy alignment to inform execution decisions. 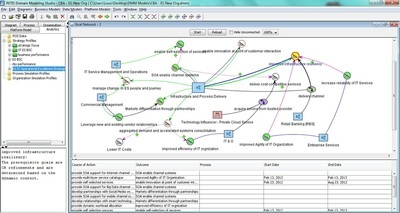 Users can explore and examine an organization's functional structure, reporting structures within each functional areas and departments/teams, organizational internal and "transactional" environments, value propositions (i.e., products and services) as well as organizational direction in terms of its goals and objectives. 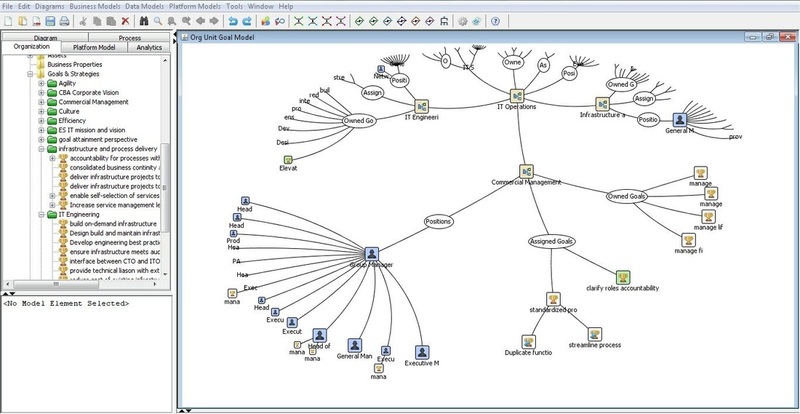 This tool supports a visualization of the organization/enterprise as a system. It enables users to interactively visualize the organization by exploring and examining the organization's viewpoint models including hierarchical system decomposition view, social systems network view and organizational structures (form) view, value propositions view, environments view including stakeholders, customers, regulators, suppliers, competitors, community, etc. 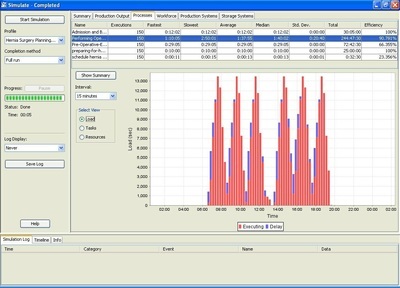 The EPCAD Organization Production and Service Delivery Visualization Methods are based on visualization of Process Analytics Simulation Output Visualization Methods. The visualization methods enable interactive visualization of the results/outputs of an organization's service operations and production systems simulation to determine the effective capacity for specified set of products/services to satisfy customer demand, the capacity utilization in terms of process capacity utilization/load as well as resource utilization and loads. 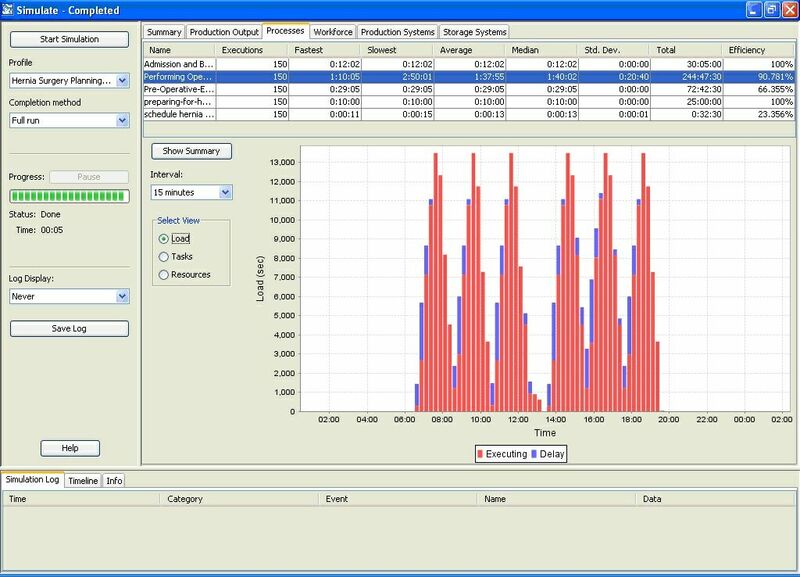 Resource utilization and load factors charts - (Labor utilization efficiency and load factors charts, Equipment utilization efficiency and load factors charts, WIP Inventory Store utilization and load factors charts). 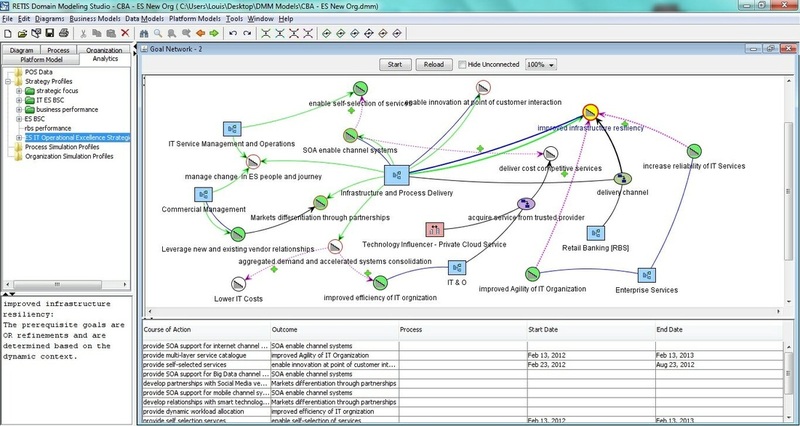 The visualization improves users' insight and understanding of the dynamic behavior of the organization in producing value and potential bottlenecks that constrain effective capacity. This visualization is especially useful when you need to address the "unknowns" in your business and make informed decisions on the impact of changes in demand, quality and safety standards policies, and workforce staffing levels. 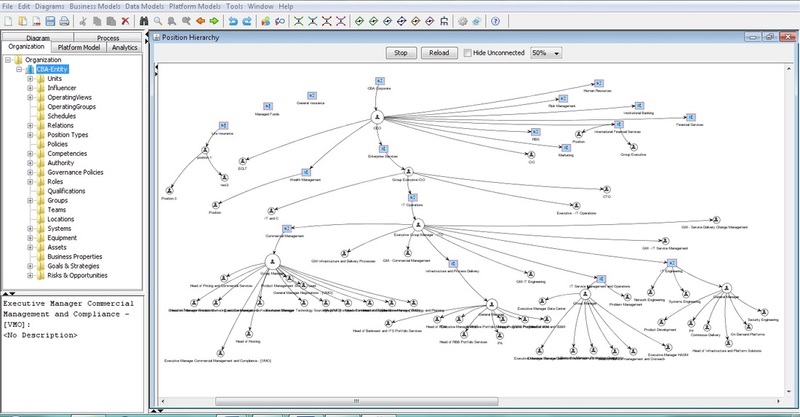 Organization's Target Future State/Situation Visualization. 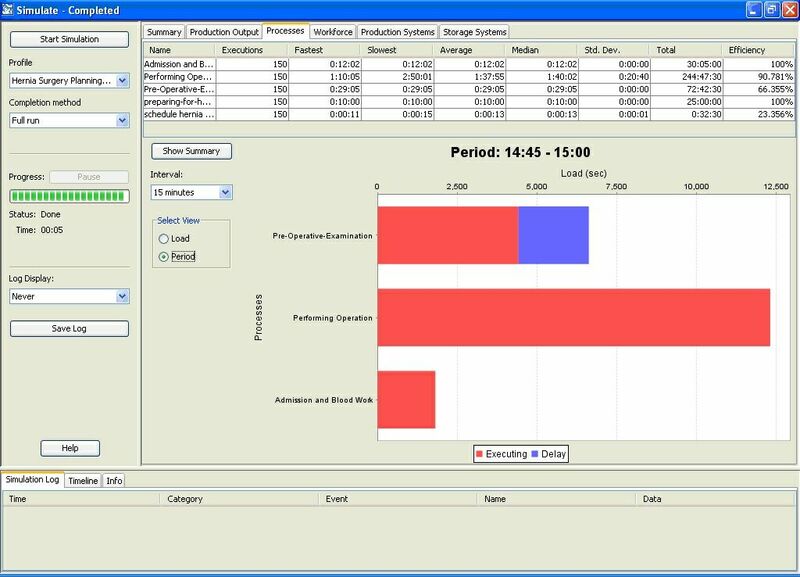 The End State and Effects chart visualization expresses the predicted/forecasted effects of a strategy/strategic option on influencing the behavior of actors in the environments such as stakeholders, and customers, suppliers, and competitors/adversaries. The visualization also includes the predictive analysis of the risks associated with the likelihood of not achieving the desired outcomes and effects from the strategy execution.